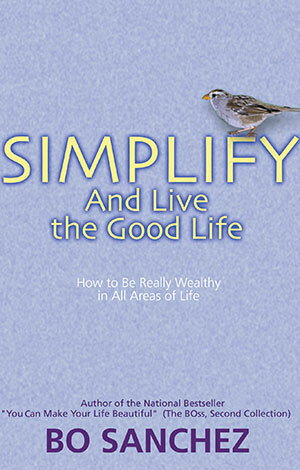 Create wealth in every area in your life and be guided as you journey towards your personal expressions of simple happiness. We have the power to create and live a good life. No matter how bad we feel, no matter how much debt we have, no matter how insecure we are, no matter how we compare ourselves, no matter how bad our day is, no matter how much you have been scolded, no matter how you fear trying new things, no matter how confused you are, you can still live a better life because there are more good things waiting for you and coming along your way. Always remember, your life is your responsibility and not anybody else. Each day is a new day to start anew, a chance for you to live brand new.